Combine a safari into the wilds of Africa with time on a stunning beach in the company of ostriches and zebras. 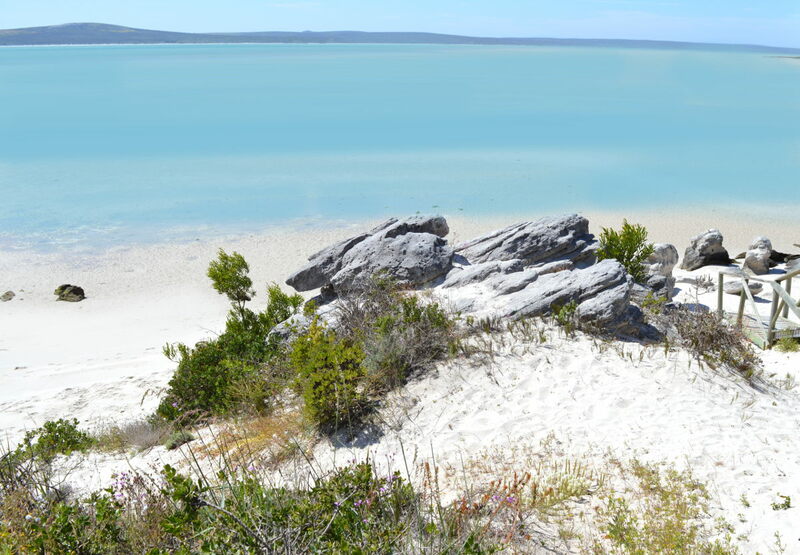 Make it a reality at the Langebaan National Park (officially called the West Coast National Park). The park covers over 100 square miles of South Africa's west coast and was designated a protected area in order to preserve one of the world's most important and beautiful lagoons and coastlines. The wild flowers which miraculously spring from the ground in early August, and last until late September, are world famous. Tourists come from every corner of the planet to see them. 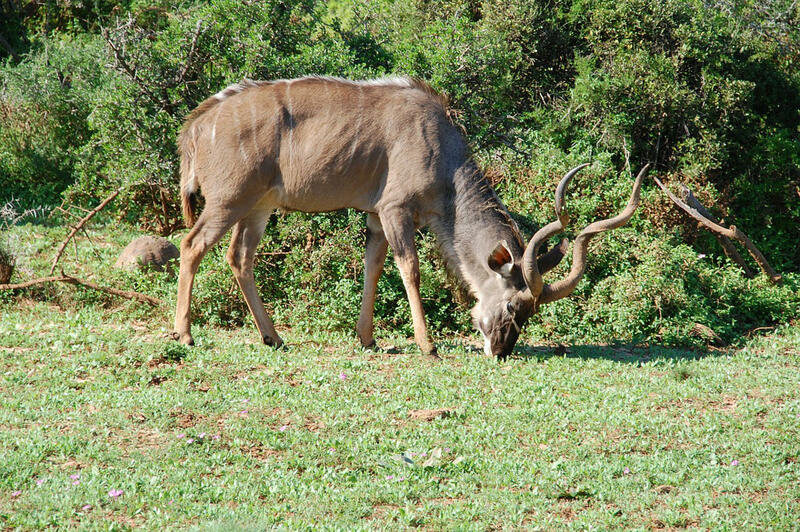 It isn't only flowers though, the park is full of wildlife: from tiny chameleons and tortoises through to enormous kudu and eland antelopes. You've also got mongooses, ostriches, zebras, flamingos, pelicans and 250 other bird species - the number of bird species makes Langebaan one of the best places in Africa for bird watches. 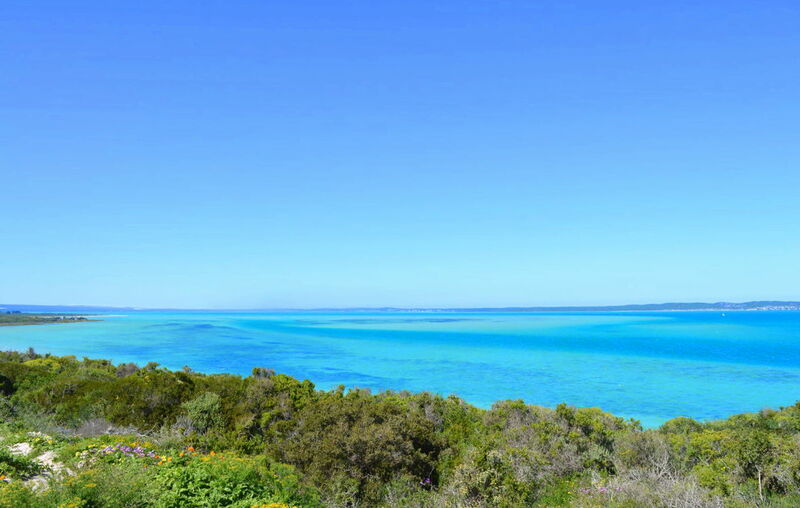 View near the Shark Bay entrance to the park - the blue colour of the water here can seem other-worldly. 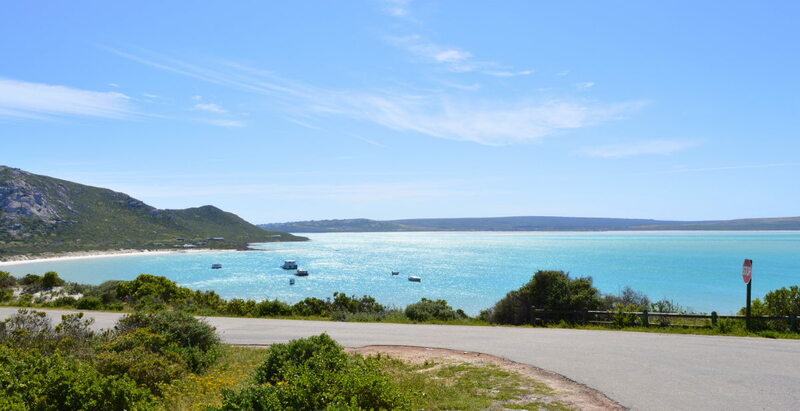 In Langebaan town, which is just outside the Langebaan National Park, you'll find a number of great beaches while in the park itself the most famous beach is Kraalbaai. 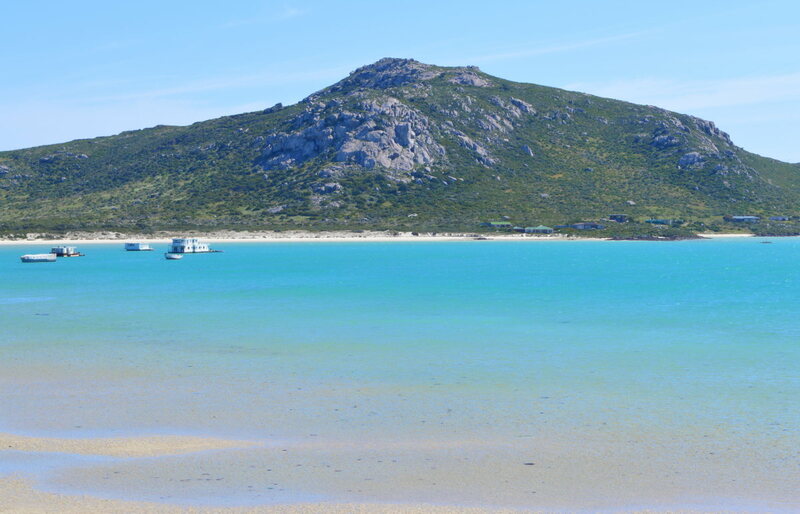 Kraalbaai is right at the end of the reserve near the Postberg section - you'll see where in our map further down the page. 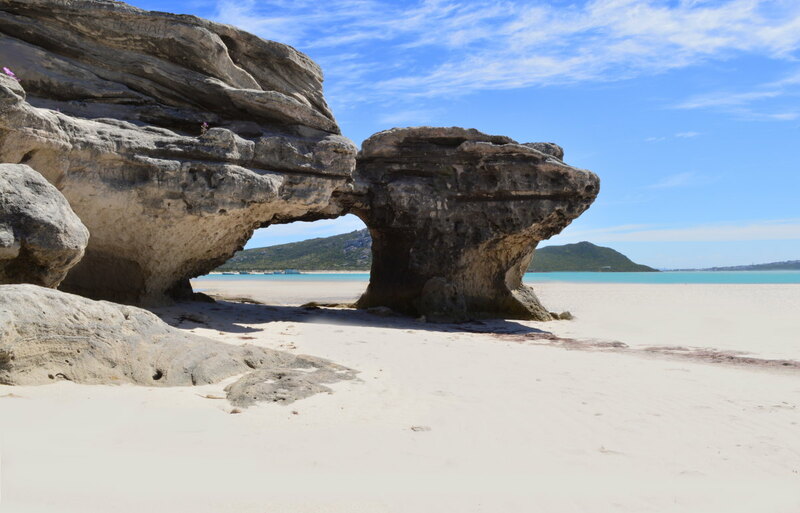 It's a lovely beach but the best one is nearby Tyrannosaurus Beach - sometimes called Mongoose Head Beach because of the huge rocks on the beach. To me the rocks look like a mongoose's head with some big reptilian creature biting its ear. Other say they see the head of Tyrannosaurus Rex. Look at the photo on this page and tell me what you see? When the tide goes out you can walk far out to the lagoon waters in the distance. Otherwise just sit on the soft white sand and savour an experience as good as any beach I've ever been on - maybe better. 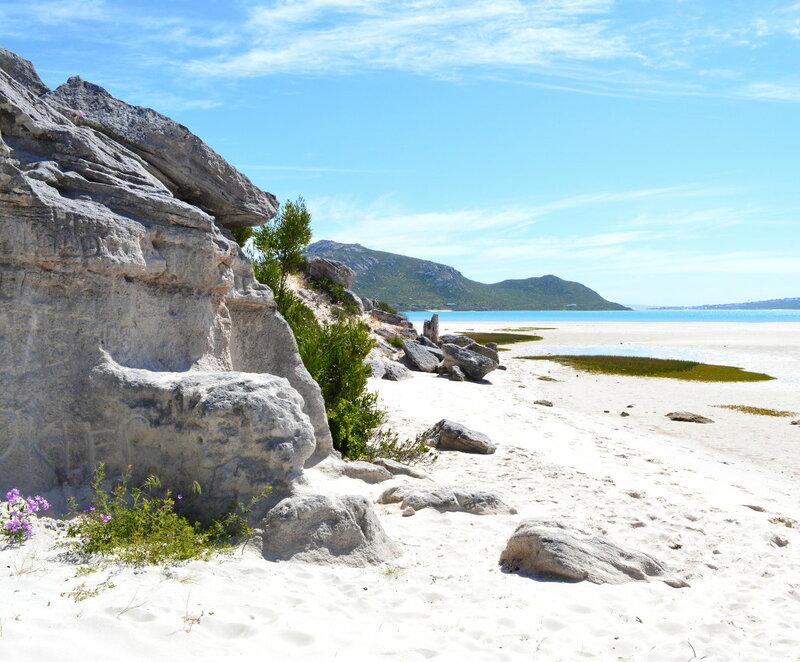 Well you've white sand like that in the Seychelles, waters as blue as those of Sardinia and, if you're here in spring, a backdrop of flowers growing down the dunes behind the beach, popping their heads out of rocks and growing on the beach itself. If that wasn't enough you've flamingos adding brush strokes of pink to the blue of sea and sky, while flocks of Pelicans lift their wings in unison in a synchronized fish-finding dance. Finally, just behind the lagoon and separated from it by a thin strip of land patrolled by ostriches the ocean rages in fury while whales crash upon its surface and seals and penguins frolic in the water under warm spring sunshine. Tide out and the beach goes on forever. There isn't much option in terms of accomodation but one I really like are the houseboats moored on the lagoon. You'll find details about them on the West Coast National Park website. The silence of a night on this lagoon, lit only by a sky of a million stars, is something impossible to describe. It stays with you for a long time afterwards. If you'd prefer to be closer to "civilization" stay just outside the park at the Farmhouse Hotel. 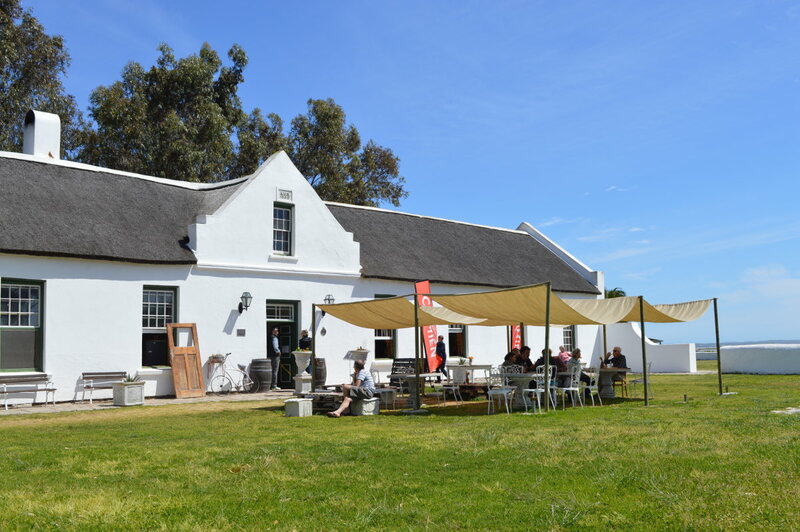 When you've relaxed on the beaches, seen the animals and enjoyed the spectacular flower displays you can head to the Geelbek Restaurant where traditional warm west coast hospitality awaits and hearty portions of really delicious local fare too. Try the bobotie and the ostrich steak if available. Everything is super fresh and is caught, fished and picked in the area. The only problem, which is the case in most places on South Africa's west coast, is that service can be very laid-back. 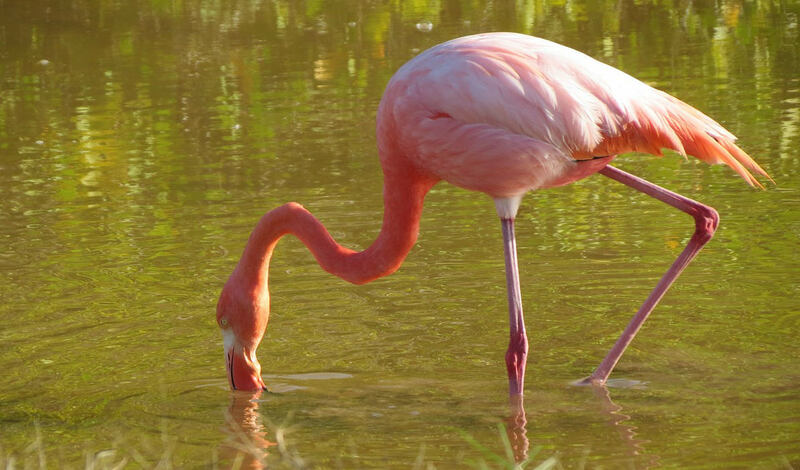 My advice is to take it easy, relax and watch the flamingos on the lagoon while you wait. In fact, don't come to the west coast at all if the tortoise pace of life is going to frustrate you - the people here have learned something from the tortoises that you'll see everywhere and that is to go slowly through life. Perhaps they're onto something? There are a range of different prices depending on where you are from and when you visit. 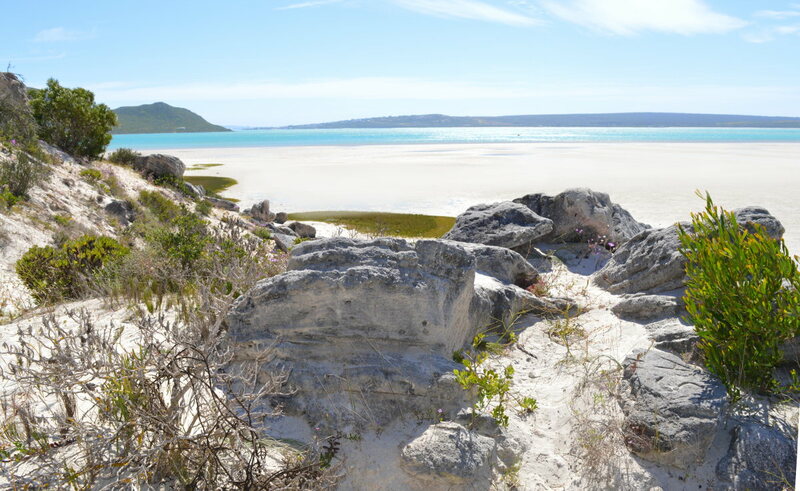 To get the latest information visit the West Coast National Park site. 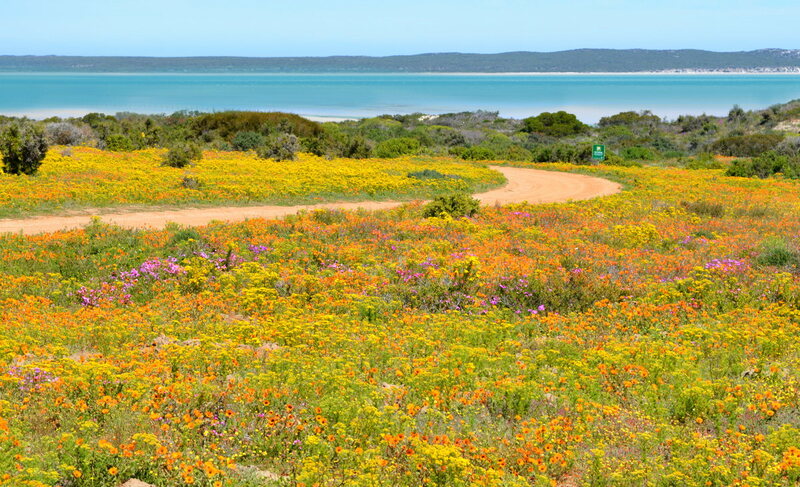 Where is Langebaan National Park?